I’ve blogged before about Joss being a very adventurous eater but having small portions which can be a worry when you’re concerned about making sure little one’s get balanced and nutritional meals. I’ve always gone by the rule of thumb that she is an active child, always on the go, and I try to make every morsel count, with a good balance of healthy fats, protein and vitamins and iron. On the whole I cook homemade meals daily, but now I’ve just returned to work I’ve been finding it difficult to get a meal ready for her in a hurry as we’re quite late back from her childcare. 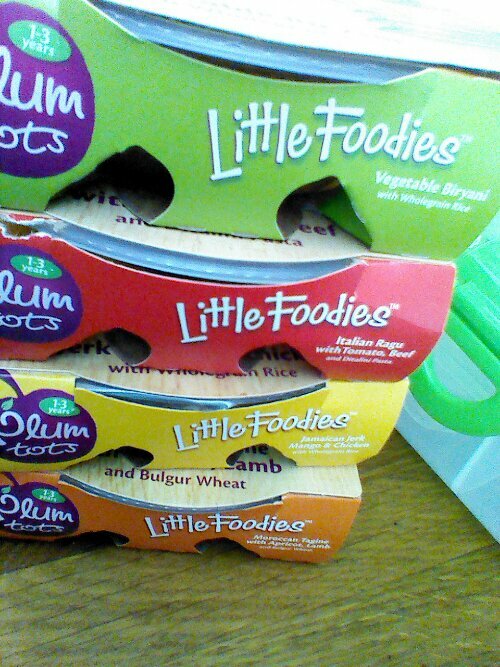 I was delighted to be offered the chance to test the new Plum Tots Little Foodies range. Perfect for those evenings when my husband and I just have a quick and easy salad but I want her to get something with good fats that’s quick and easy, but Organic and nutritionally balanced. These are meals I would homecook with great quality ingredients and flavours so although a fast option I know she is getting everything that she needs from them. Plum Tots Little Foodie range is full of tasty ingredients with each pot providing at least two daily portions of vegetables and no nasties. Finished off with fruit and yogurt I know she’s had a good meal! The range includes Caribbean Jerk Mango & Chicken with Wholegrain Rice; Moroccan Lamb Tagine with Apricots & Bulgur Wheat; Neapolitan Tomato & Beef Ragu with Ditalini Pasta; and Vegetable Biryani with Wholegrain Rice. Joss liked them all but the Ragu meal was wolfed down and she was making her usual mmmmmm noises to let me know that this was her firm favourite! 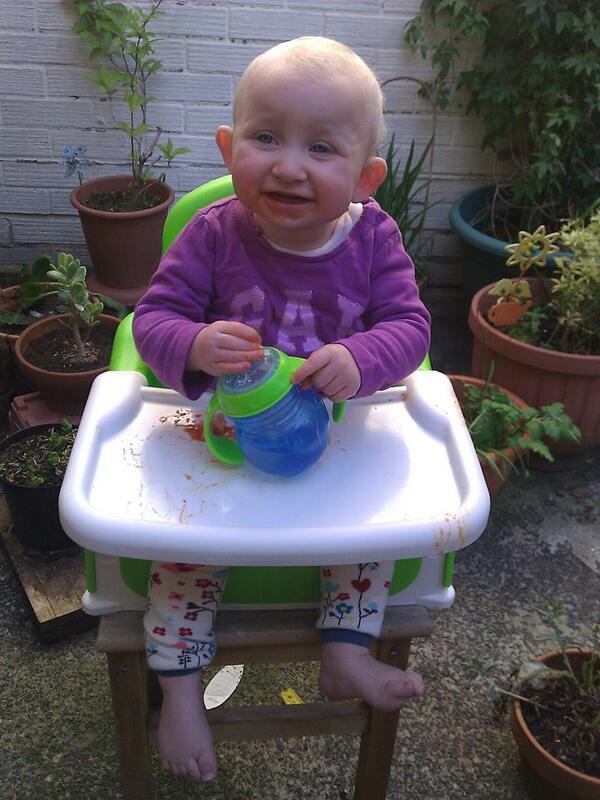 Here she is dining alfresco with evidence around her mouth! I liked that the meals had a great texture, just what I’d expect for a toddler, we do baby led weaning so Joss likes and needs lots of grown up lumps and textures to explore, she picked up the rice dishes easily with her hands and there were lots of chunky pieces so she didn’t need any help at all from me, leaving my hands free to eat my own dinner! Thanks Plum for letting us try them, a big thumbs up from us!